I’ve recently discovered the easiest way to cook fish and seafood EVER. No joke. Even my 11 year old daughter could cook it like a pro! Sobeys new Seafood Steamer makes preparing seafood a breeze. If you’ve visited your local Sobeys recently, you may have already seen the advertisements for the Seafood Steamer at Sobeys Seafood Counter. Next time you are there, don’t walk by without stopping to take a look. I hope you’ll feel comfortable enough today to try it once you see how simple it is to cook. 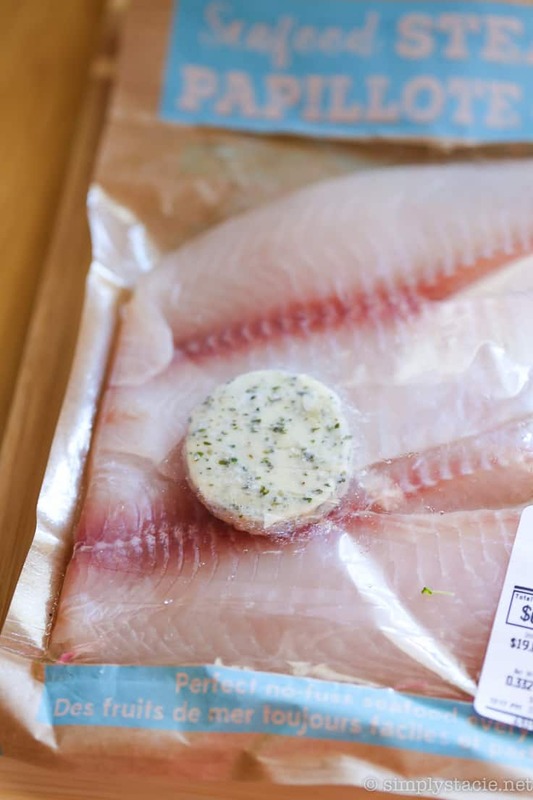 The newly launched Sobey’s Seafood Steamer is your choice of seafood and seasoned butter packed in an oven-safe, ready-to-cook bag by a Sobeys Seafood Specialist. 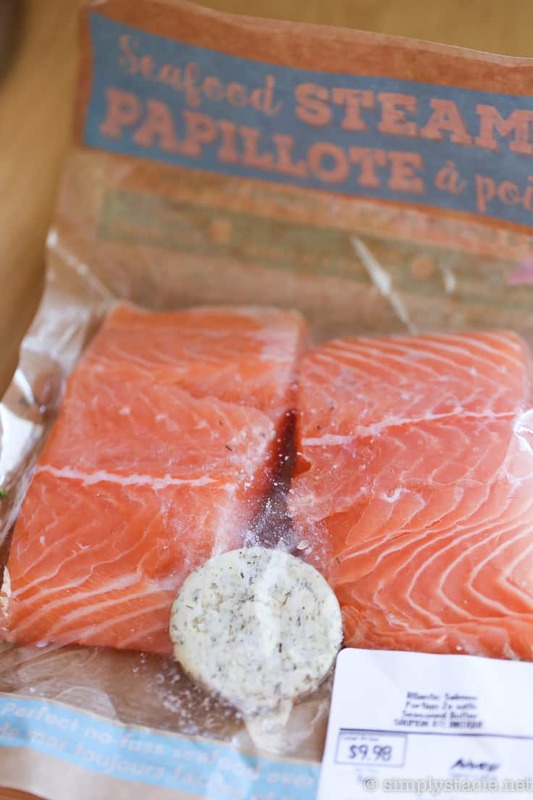 It was inspired by the French cooking method, en papillote, which is steamed fish in a parchment paper pouch. 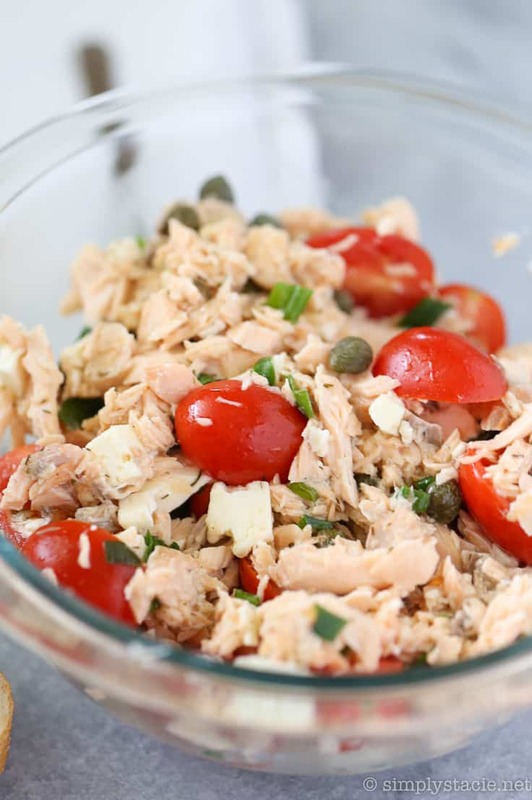 My father-in-law prepared salmon for us during a visit using this same French method and it was one of the flavourful pieces of fish I’ve ever tried. I never felt confident enough to try it myself. Thanks to Sobeys Seafood Steamer, I plan to enjoy my favourite seafood much more often. 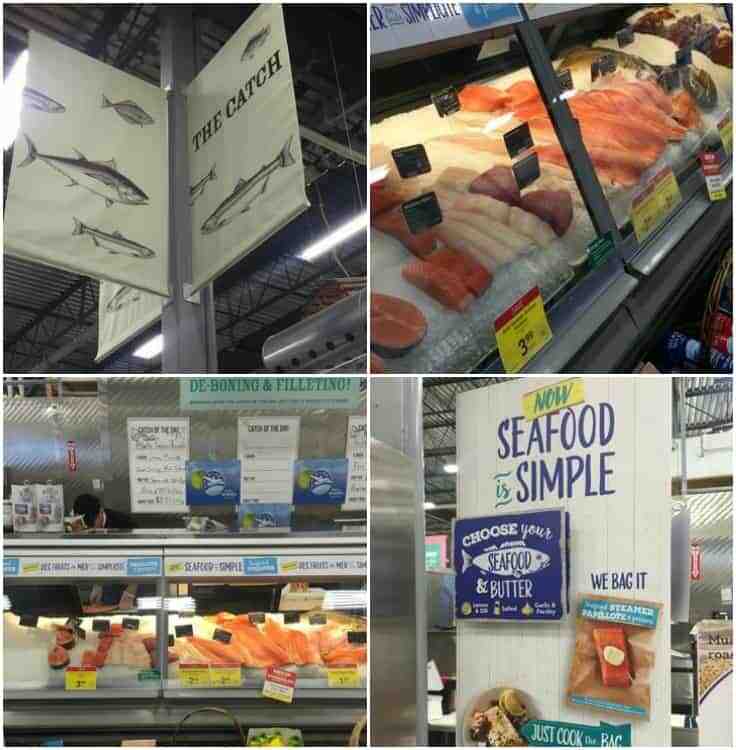 On my most recent trip to Sobeys, I made a beeline to the Seafood Counter to check out the selection. I couldn’t decide on what I wanted so I ended up choosing several varieties: halibut, tilapia, salmon and cod. For the seasoned butter, you have three choices: Lemon & Dill, Salted and Garlic & Parsley. The seafood expert bagged my choices in the Seafood Steamer bags. This is all the prep work you need to do which is basically nothing! You never have to touch the raw fish. At home, you can cook it in the microwave or oven. Instructions are on the back of the bag to tell you how long and what temperature to cook it at. I put the bags on a baking sheet in my oven. Depending how big of portion you got, it cooks anywhere from less than 20 to 30 minutes. Once it’s done, the butter will be melted inside the pouch giving the fish even more flavour. Carefully open the bag and it’s ready to eat! Other Seafood Steamer options to try include trout, barramundi, mackerel, herring, whiting, snapper, shrimp, mussels and more. Because they are packaged and cook separately, it’s easy to please a variety of tastes. If you work outside the home, try one for lunch at the office to cook in the microwave. You won’t have to worry about the place smelling like fish because the smell is locked inside the bag. 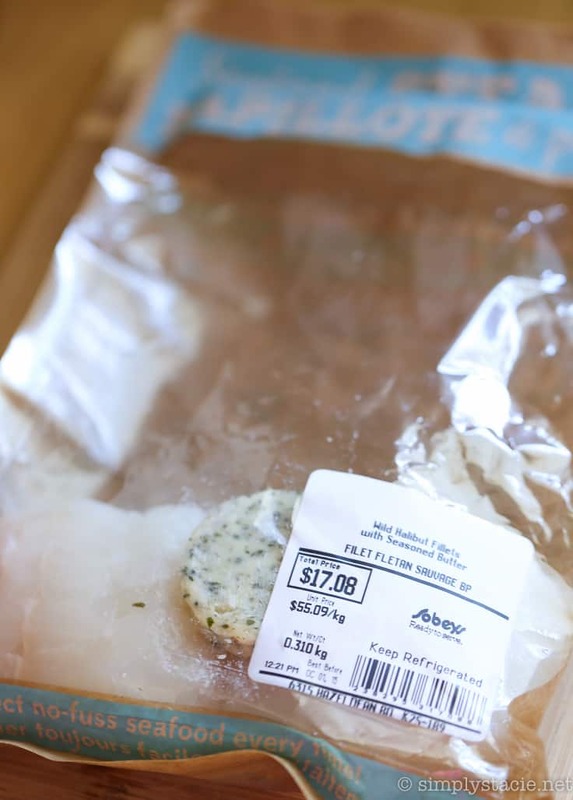 Yes, Sobeys Seafood Steamer is easy and convenient, but what about the taste? This factor is the most important! I have a simple answer. It tastes delicious! 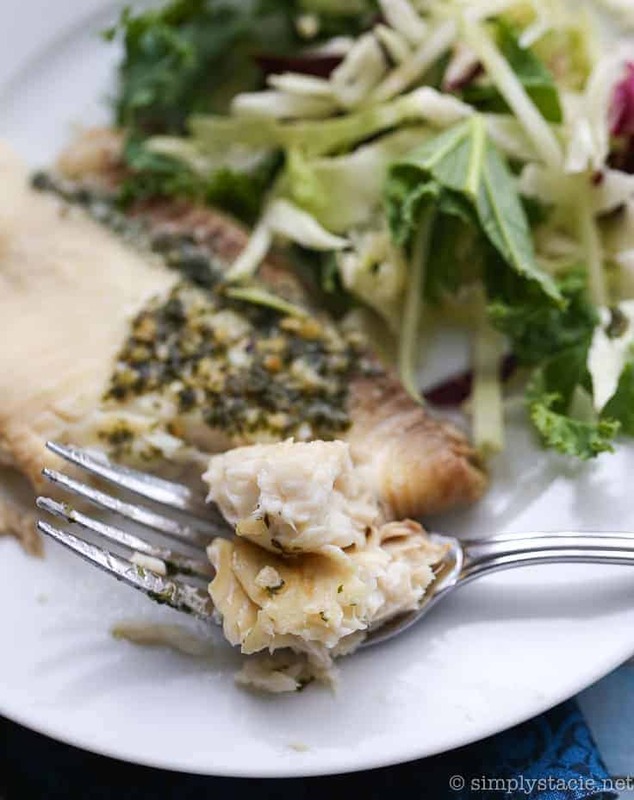 The fish fillets were tender, bursting with flavour and cooked to perfection each and every time. I decided to try one of Sobeys recipes with my salmon Seafood Steamer. 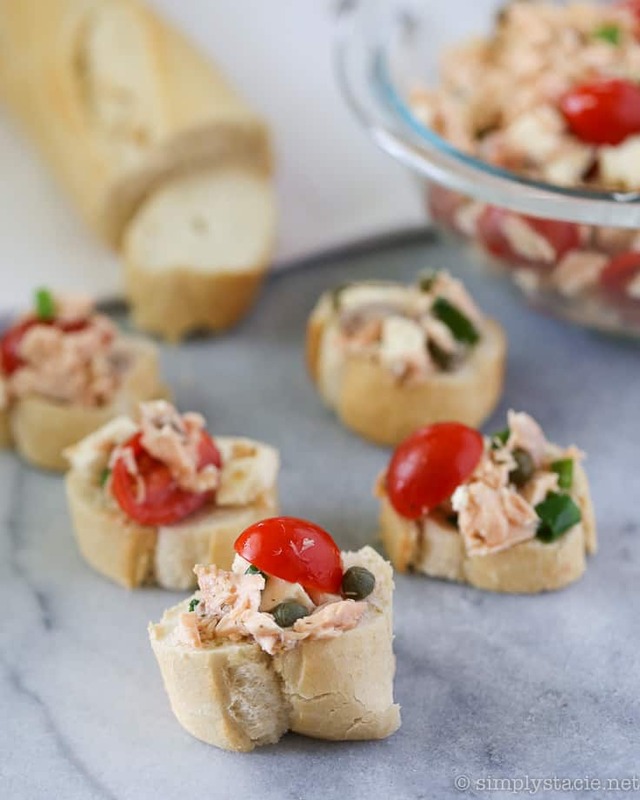 The Open-Face Salmon Dinner Sandwiches turned into an appetizer recipe with a baguette instead of slices of rye bread. I ended eating a bowl of it because it was so good! It’s one of those recipes you think about long after you ate it. It’s cool that there is no “dressing” in the mixture. It uses the juices that were in the bag for loads of flavour. Add this recipe to your list of “must-try recipes”! It’s a keeper. Pair your Seafood Steamer with a simple side salad or serve on a bed of rice. I like the bagged salads in the produce aisle. Talk about an easy dinner! 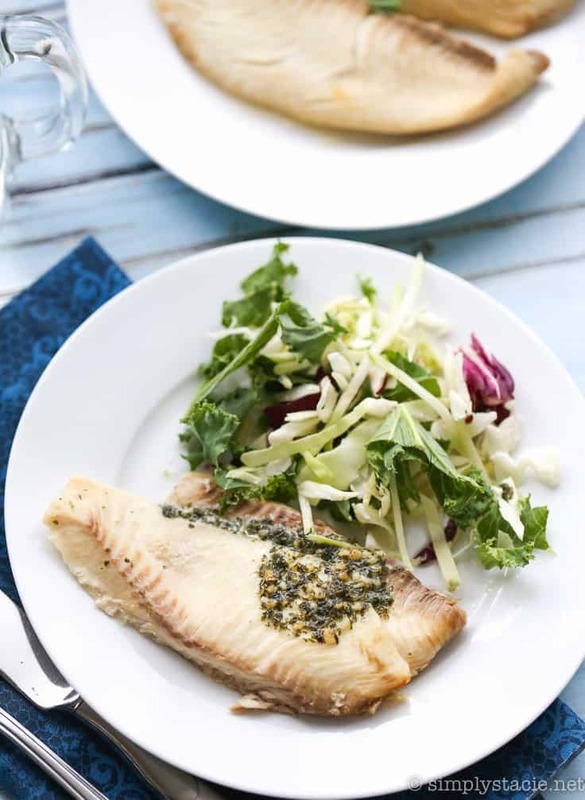 This tilapia with garlic & parsley seasoned butter was mouthwatering! 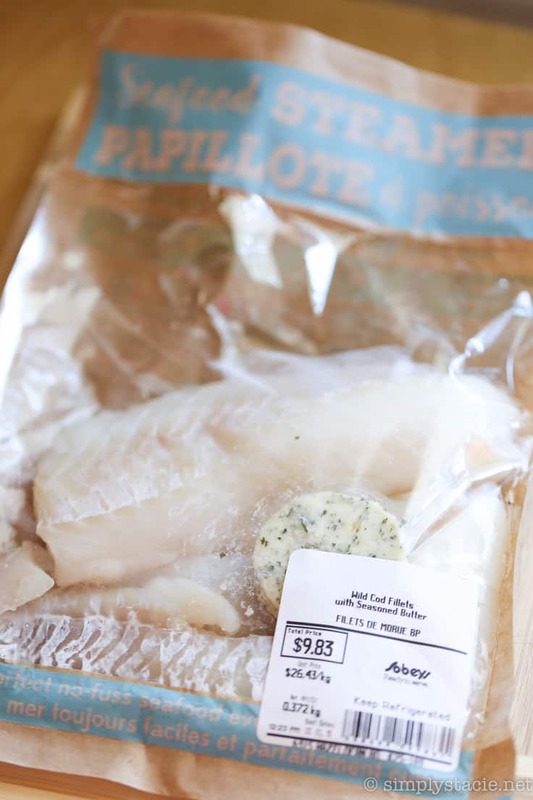 Sobeys has several other recipes I want to try like this Scallop Fettuccine Alfredo and Trout with Creamy Parsnip Mash. If you like stress-free meals that are healthy and delicious, try one of the Seafood Steamers. You can thank me later! Do you think you will cook fish more often now that Sobeys has introduced the Seafood Steamer? Disclosure: I received a gift card and was compensated monetarily for this post. All opinions expressed are my own. This looks amazing even to a non fish eater like me. I know a lot of sea food lovers that would love something like this. I don’t make seafood very much, but I should try some of these! I love seafood, thanks for sharing this product, it is very healthy for you. I cook a lot of seafood, I’d prefer it to most meats. It might make me cook more but I will definitely try it. Yes!!! yes yes!! I love this concept, and it is something I want to try – over and over!!! Cooking seafood is one of those things that really intimidates me since it can be easy to screw it up. This handy method seems super easy and basically foolproof. I love the not touching the fish!! 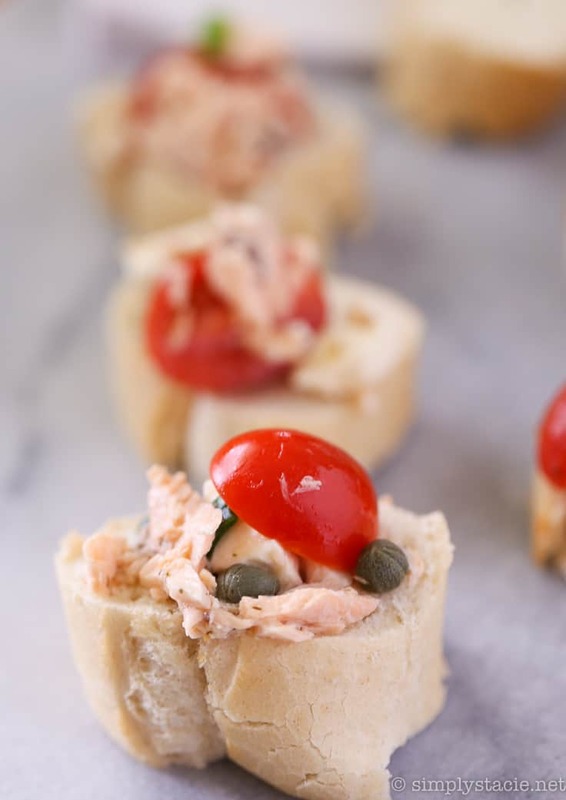 This sounds so easy to make and sounds like it would be perfect for a school night dinner! I haven’t seen a Sobey’s near us at our new house. I wish I could find one close by. I think this is great, my husband loves fish… I’m not a big fan. I’m pretty challenged in the kitchen to begin with, but rarely make seafood because I find it intimidating. But I think these steamers are genius! I know I would definitely cook fish more often now that Sobeys has introduced the Seafood Steamer! Thank you for sharing this. mmmmm, I LOVE fish! These look delicious and very convenient! I’ll keep an eye out for these, i think they’ll become a family favorite for sure! This looks like a great seafood meal! I love seafood! This may be the only way I could ever make seafood for my husband and son, the thought of touching the fish…I just can’t bring myself to do it. The butter just makes it that much better. I think this is the coolest idea ever! I don’t often cook seafood because I never know how to season it! But this would make it super easy to have an amazing flavor and easy to cook! I love to cook but am not as comfortable cooking seafood This would make it so much easier! This is just the kind of seafood cooking I need. I’m so inexperienced with fish! My poor family only gets to eat seafood when I am gone away. Should share this with my husband for next time I am out of town. I will definitely cook fish more often now that Sobeys has introduced the Seafood Steamer. I can’t wait to give it a try. Thank you for sharing this review. We are huge seafood eaters around here, and this looks so good! I need to give this one a shot. No for me cooking in the microwave or oven with plastic means more cancer causing chemicals , I already get more than enough. Convenience isn’t always the best! Something easy enough for me to attempt, thanks!!!! i love the way you prepared all of these dishes. they look amazing. i am such a seafood girl and i would totally get all of them. i do not make a lot of seafood because I always thought it was hard to make but this definitely looks super easy! What a brilliant idea! Everything looks delicious. I love that these dishes are very easy to prepare. Looks delish! In Italy they would serve that with a squeeze of mayo on top! This sounds fantastic. I will definitely be trying the Salmon. It will make whipping up dinner a cinch. This is such an easy way to prepare fish. I am excited to try this. I think my kids will love it. I’m portuguese, so I eat lots of fish and seafood. That looks very practical and delicious. Due to a shellfish allergy, I rarely cook seafood. As well, the Sobey’s in my city is a long drive from where I live. I doubt I will have occasion to use this product. Great idea though! I would love to eat more fish! It’s one of my favorite proteins! OMG, that is amazing. It really is simple, I can’t believe it. Thanks for this!